Carolina House is a comprehensive eating disorder treatment program that offers a full continuum of care for men and women age 17 and above. 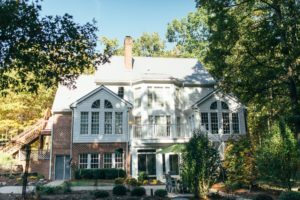 Carolina House provides focused care for individuals whose lives have been impacted by anorexia, bulimia, binge-eating disorder, compulsive overeating, body dysmorphic disorder, orthorexia, and certain co-occurring mental health challenges. Common co-occurring disorders among individuals who seek treatment at Carolina House include anxiety, depression, posttraumatic stress disorder (PTSD), body dysmorphic disorder, obsessive-compulsive disorder (OCD), and substance use disorders (which is the clinical term for addiction). The Homestead is one of Carolina House’s two residential locations. Surrounded by 10 serene acres in Durham, North Carolina, this beautiful craftsman-style farmhouse can house 16 individuals. The Estate, which also houses residential treatment services, is a six-bed brick colonial home on 12 wooded acres. The estate is also located in Durham, North Carolina. 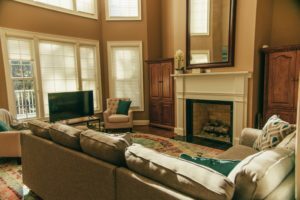 Carolina House’s outpatient treatment center is located in Raleigh, North Carolina. All PHP and IOP services are provided at this location. The Raleigh location also hosts a weekly eating disorder support group that is open to adults who have been struggling to develop a healthy relationship with food and their bodies. Carolina House’s approach to treatment is a structured, multifaceted experience, guided by skilled and compassionate professionals, within a safe and supportive environment. 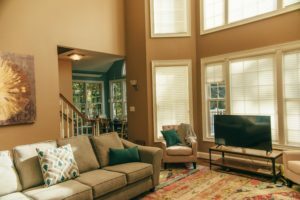 All who heal from eating disorders at Carolina House follow personalized treatment plans that are based on a detailed assessment of their strengths, needs, and goals. Dialectical behavior therapy (DBT) is a foundational treatment modality at Carolina House. The DBT skills of core mindfulness, emotion regulation, distress tolerance, and interpersonal effectiveness have proved to be extremely beneficial to men and women who have been struggling with eating disorders. In addition to providing a superior therapeutic framework, DBT helps men and women learn to establish and maintain healthy relationships, resolve conflicts in a productive manner, and abstain from self-defeating behaviors. All staff members at Carolina House are thoroughly trained and knowledgeable in these skill sets, which are integrated into all elements of treatment. 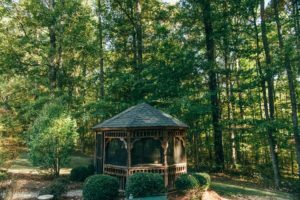 Depending upon each person’s specific needs, as well as the level at which they are receiving care, treatment at Carolina House may include individual, group, and family therapies, as well as a host of experiential therapies and educational activities. To promote a healthy mind-body connection, Carolina House offers expressive arts therapy, mindfulness training, yoga, and body movement therapy. To help individuals change their relationship with food, the program provides culinary and nutrition education, group restaurant outings, supervised food shopping trips, individual sessions with a registered dietitian, meal preparation groups, gardening, and related activities. 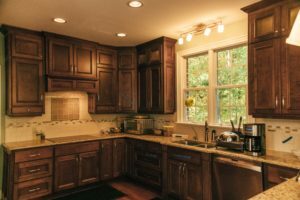 Carolina House is also one of the only eating disorder treatment centers to offer a culinary program that includes full kitchen access, and guidance from a professional culinary team. In addition to the culinary team, the Carolina House staff includes the following professionals: a psychiatrist, a physician, nurses, licensed therapists, registered dietitians, an art therapist, a yoga/mindfulness instructor, a body movement therapist, and resident client assistants. Carolina House is an in-network provider with a wide range of major insurance providers, and also accepts individuals who are paying for their own treatment. Members of the Carolina House team are happy to work directly with insurers to confirm benefits and bill directly when possible.